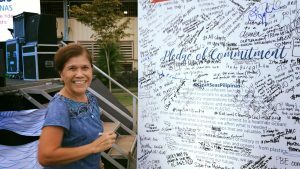 Silliman University hosted the launch in the Visayas of #CleanSeas Pilipinas last July 6 at the Ravello Ball Field. 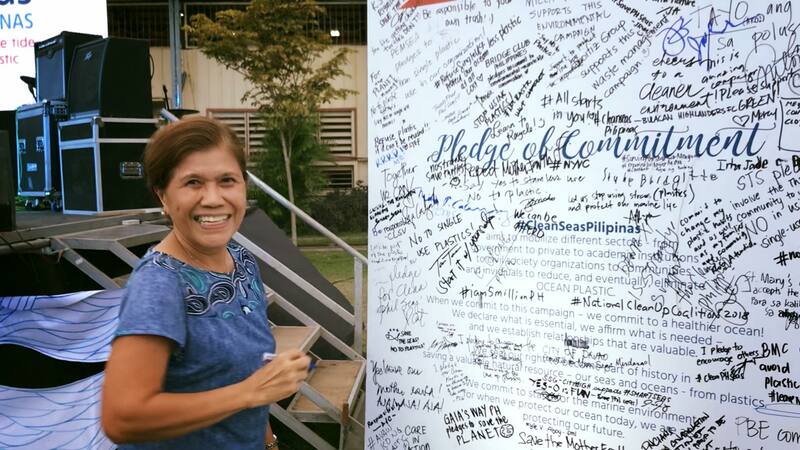 #CleanSeas Pilipinas is a campaign against the mounting problem of marine litter and targets active awareness on the danger caused by plastics, particularly in Philippine seas. The Philippines ranks third among countries that contribute to half of the world’s plastic waste in the oceans. It comes next to China and Indonesia, at first and second, respectively. 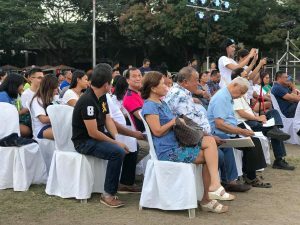 National Scientist and Silliman University Professor Emeritus Dr. Angel C. Alcala, who pioneered community-based coastal resource management in the Philippines, graced the launch. He was joined by marine experts and staunch environmental advocates, including those from Silliman: Dr. Hilconida P. Calumpong, Director of the Institute of Environmental and Marine Sciences, Dr. Earl Jude Paul L. Cleope, Vice President for Academic Affairs, and visiting scientist and adjunct professor Dr. Jorge Augustin Emannuel. Commitments were made by the different sectoral representatives present – from government, civil society, private and business sector, and education. 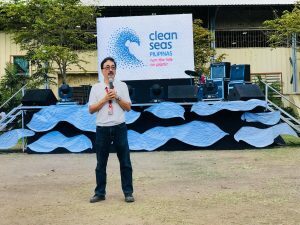 #CleanSeas Pilipinas is organized by the United Nations Development Programme, in collaboration with the United Nations Environment Programme, Department of Environment and Natural Resources, and Community Organized for Resource Allocation. Meanwhile, following the announcement on a “zero waste” campaign in Silliman during the All-University Academic Convocation last month (click to read: Campaign Underway to Make Silliman ‘Zero Waste University), University President Dr. Betty Cernol-McCann has convened a group on July 9 to draw up plans on how waste management on campus can be made more systematic and effective. The group is composed of key officers of the University and the Student Government.